1. Boil a pot of water, add sago and simmer for about 10 minutes. Turn off the heat, cover the pot with lid and let the sago continue to cook on its own for about 10 minutes, until all the sago turns translucent. Run the cooked sago through a fine sieve and running water to remove excess starch. Set aside. 2. Reserve one quarter of the cubed mangoes for garnishing in step 4. In a blender, blend the rest of the mangoes and the evaporated milk for a short while till well mixed. 3. Mix mango smoothie prepared in step 2 with tetra pack mango juice. Add honey to taste. Add cooked pearl sago prepared in step 1 to the mixture. Chill in fridge. The Tovolo Better Batter Tool is used here to mixed the ingredients togther. 4. 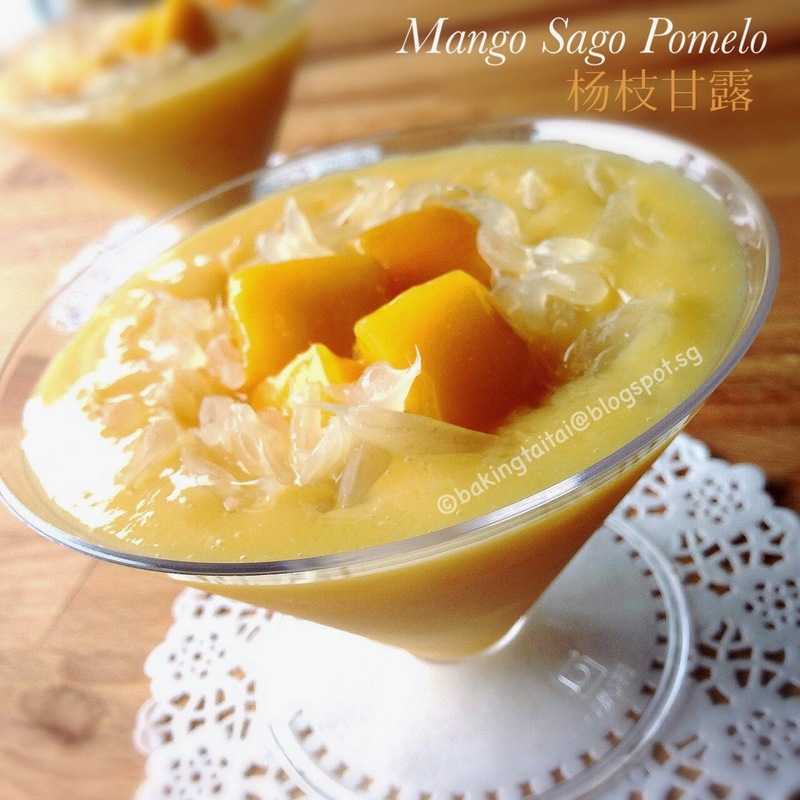 To serve, portion out to individual serving bowls and garnish with pomelo sacs and cubed mangoes. This looks so refreshing and yummy! And yes, I would definitely eat a second bowl!